Last week I participated in the first (two day) module of a six month TU Delft course on “Academic Leadership” — a course so successful it has been taught every single year for the past 32 years. Maybe the most impressive content comes from the participants themselves (16 in total this year), who serve in different leadership roles at TU Delft. Participants can bring in “cases” they are currently struggling with — my case relates to moving my department to a new building (with less space for the 150 people involved). The participants can ask questions about these cases, often reflecting their own experience in dealing with similar cases. The questions not only help to drill down to the essence of the case, but also to the (possibly deeply personal) reasons behind the struggle at hand. The format for this participatory content is that of “intervision“, which in English translates to “peer supervision”. It is a technique common among (mental) health care professionals, to exchange their experiences, to analyze how they handle a given complex situation, and to reflect collectively on their professional conduct. The intervision in this course takes place in smaller groups of four, under the guidance of a coach. In a series of sessions, each participant gets one afternoon to present his or her case, and to discuss it in depth in a trusted, fully confidential setting. A few years back I participated in such an intervision, and I look forward to doing this again. 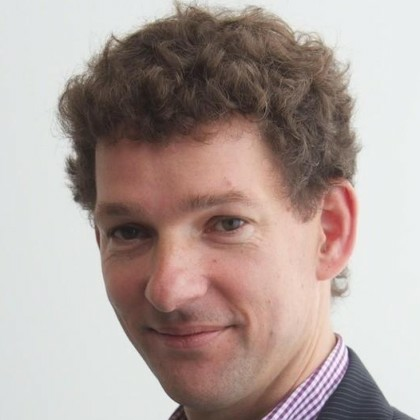 The actual course content of the first module came from Mathieu Weggeman, a professor and consultant who specializes in management of knowledge-intensive organizations. His lecture carried the title of his book Managing Professionals? Don’t!, emphasizing that professionals usually work best when their managers take a step back. No more “planning and control”, but a focus on shared ambition and employee expertise. I’m sure this resonates with many academics. Strategy: Purpose of the business and the way the organization seeks to enhance its competitive advantage. Structure: Division of activities; integration and coordination mechanisms. Systems: Formal procedures for measurement, reward and resource allocation. Shared Values: Included in culture by Weggeman, who also includes in culture the way of working derived from these values. Skills: The organization’s core competencies and distinctive capabilities. Staff: Organization’s human resources, demographic, educational and attitudinal characteristics. The basic premise of this framework is that these seven internal aspects of an organization need to be aligned, and that they are interrelated: Changing one element will affect the others. He who has a ‘why’ to live for can bear almost any ‘how’. As an academic, it is easy to get lost in the fights of the “how” (getting tenure, submitting a paper, writing a review, applying for funding, managing the class room, handling Blackboard Brightspace, etc., etc.). And naturally, it is our collective duty to improve the ‘how’ wherever we can.